Christelle is like any other twenty-something living in Sydney - except for one huge secret. She enjoys cocktails with girlfriends, luxury brand launches, gossip and shopping. For an added touch of spice, there's also the sizzling connection she has with her new boss, the gorgeous Jasper. Then Christelle's hapless and na�ve younger sister arrives unannounced and things begin to fall apart. Not only does Christelle have to deal with her sister's exploits and embarrassing mistakes, she also has to live with the fear that her escapades will reveal the truth: Christelle and Trixie are half-fairy, half-human. To make matters worse, Christelle has fallen for Jasper, but knows that taking the relationship any further threatens exposure. And no love could survive that, could it? This was a fun, flirty, look at half-fairies living in the city of Sydney, Australia. 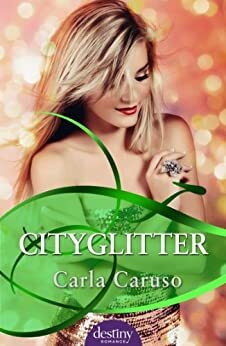 Carla created plenty of unique fairy elements and incorporated them into the story skilfully. I particularly liked the family and office dramas and there were a few little twists to surprise along the way. It just goes to prove that with a sprinkling of glitter dreams really can come true. 5.0 out of 5 starsFairys. Not really my thing, but my wife loved it. Pretty weird when my wife buys these sort of books on my account. Amazon starts recommending chic lit instead of my usual homebrewing beer or electronics books. 4.0 out of 5 starsFairies live! A beautiful sugar-coated confection of a book. Could be bad for your waistline but is guaranteed to warm your heart. Please read and pass along, you won't be disappointed. 5.0 out of 5 starsCITYGLITTER - So much sparkling fun! Fairies, the city, a hot hero and truly fabulous shoes--what more could a girl want? A fresh, fun read--I loved it.